Leonardo has been selected, after an international competition, by Safran Electronics & Defense to provide the PicoSAR AESA (E-Scan) radar for its Patroller UAV. The radars will be used by the French Forces, which selected the Patroller in April 2016. The multi-million Euro contract will see Leonardo provide a number of radars and spares, which will be used for long-range, over-land surveillance missions. First deliveries are expected in 2017 and Leonardo is working closely with Safran for the satisfaction of the French Forces. 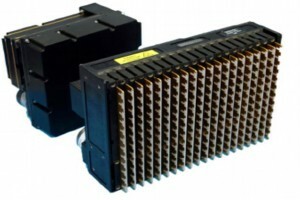 Leonardo’s PicoSAR was selected because, in addition to meeting a number of demanding technical requirements, the company took an open and collaborative approach to working with Safran, ensuring that the radar worked perfectly with the Patroller’s mission system and was a fit for the French Forces needs. Compliant with the needs of the French Army, PicoSAR will be used to detect moving land-based targets and collect imagery of the ground with the use of the sensor’s synthetic aperture radar (SAR) mode. PicoSAR offers a high performance over weight ratio and is able to produce SAR imagery in both ‘strip’ and ‘spot’ modes, as well as collecting ground moving target indication (GMTI) data. PicoSAR features an advanced AESA capability and is ideally suited for UAVs. Leonardo has demonstrated the radar’s flexibility by flying it on more than 10 different platforms. UK-designed and manufactured, PicoSAR has been flown in Oceania, the Far East, the Middle East, Europe, North Africa, North America and South America and has been acquired by more than 10 different customers. PicoSAR is part of Leonardo’s extensive portfolio of airborne radars that include best-in-class M-Scan (mechanically-scanning) and E-scan (electronically scanning) systems designed, manufactured and supported by Leonardo Airborne and Space Systems division.